After being recognized as a syndrome, Willis–Ekbom disease (WED) had been essentially ignored for three centuries until the excellent work of Ekbom in the mid-twentieth-century, carefully describing his case series. 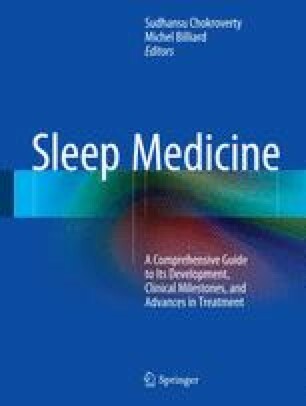 Shortly thereafter, attention to disorders disturbing sleep increased with advent of the discipline of sleep medicine. The discovery of periodic leg movements in sleep as a common feature of WED and then the serendipitous discovery of dopaminergic treatment both produced increased interest and attention to WED as a neurological disease. It was then appreciated that as Ekbom previously reported: This condition is so common that every physician is almost certain to see these patients in their practice. This has led to a rapid development of measurement instruments, diagnostic standards, approved treatments, and better understanding of the iron and genetic factors of WED. Much more could be considered about the history of assessments regarding social costs, quality of life, sleep, and multiple biological factors in the disease. Suffice it to note that this disease has rapidly progressed in the last half century from one unknown and untreatable to one with good treatment options and clear directions for biologically based improvements in the future.